Tonight I was granted the obligation to have my face painted in any way I chose. I asked for a visage that would be sure to convey casual indifference. 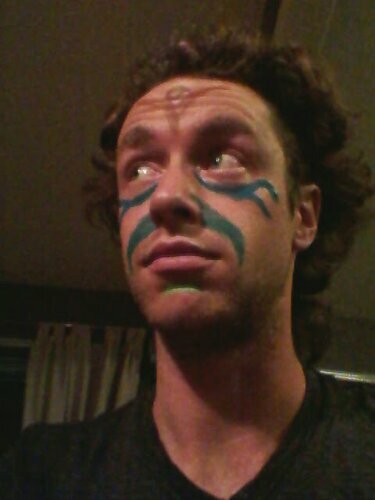 This entry was posted in Overconfidence and tagged face paint. Bookmark the permalink.